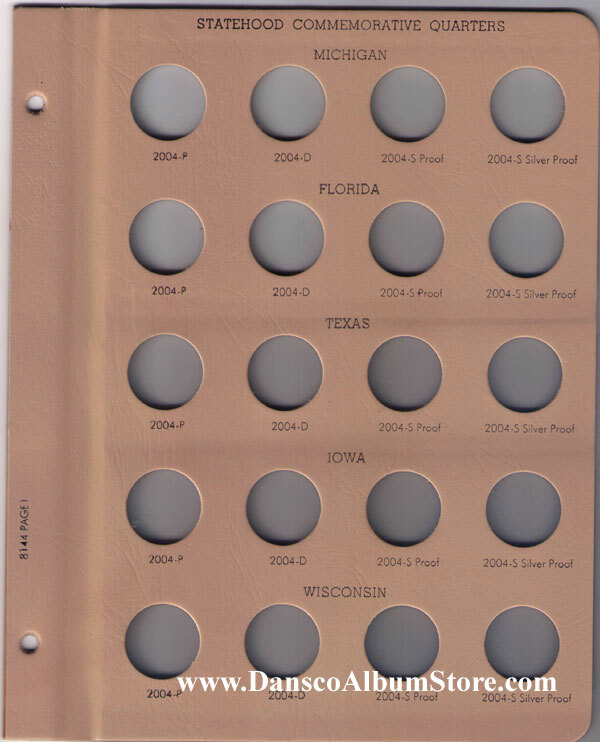 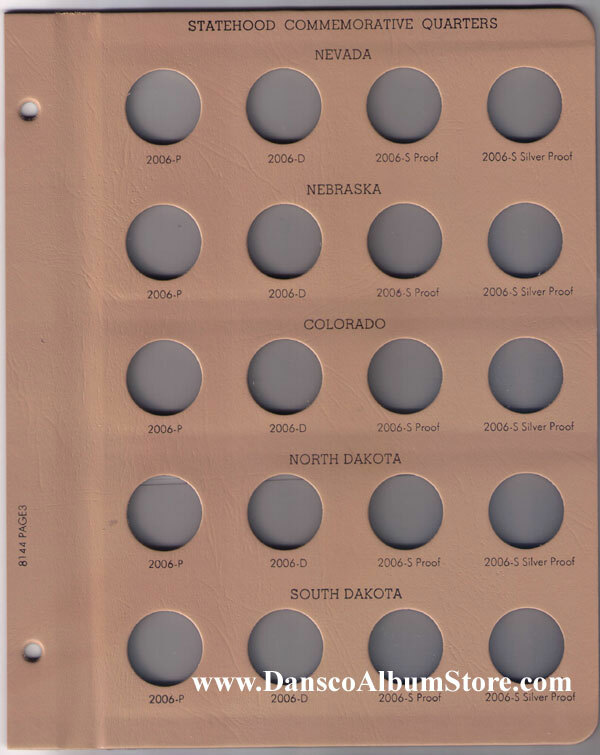 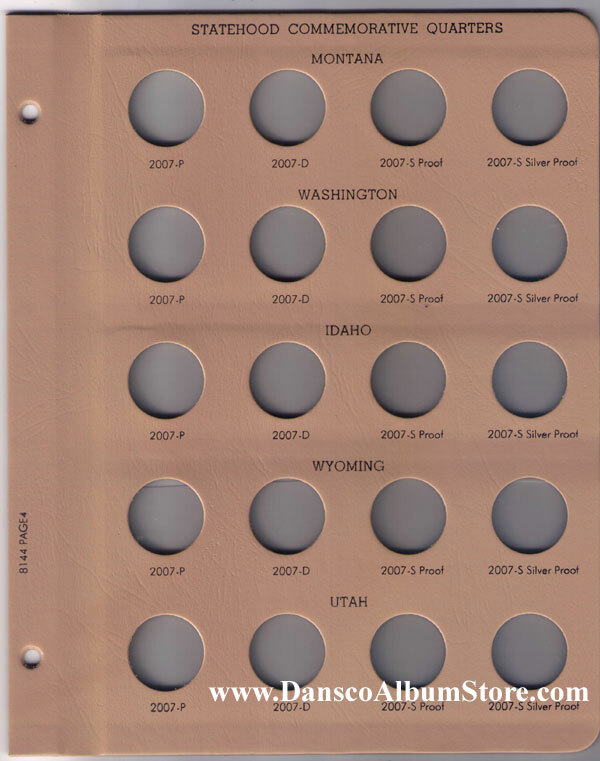 Statehood quarter 8144 book is for the second half of the statehood quarter series (50 states). 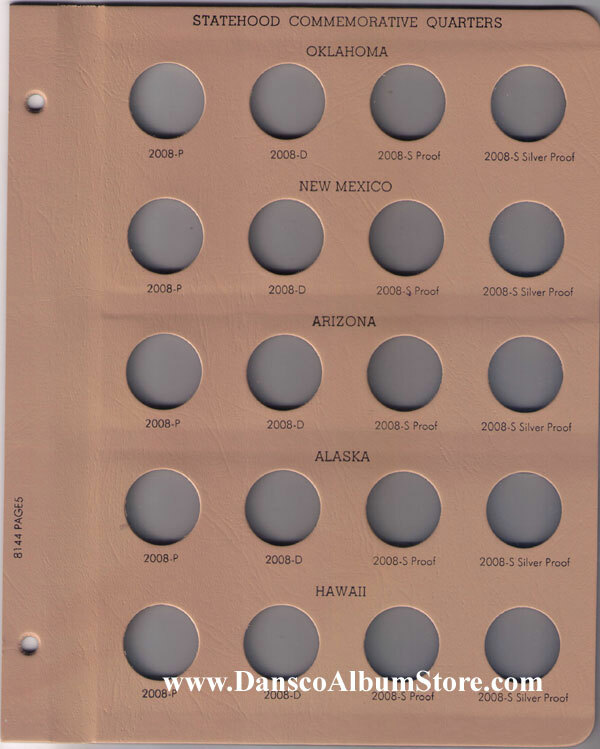 Holds 2004 through 2008 P, D, S Clad Proof and S Silver Proof. 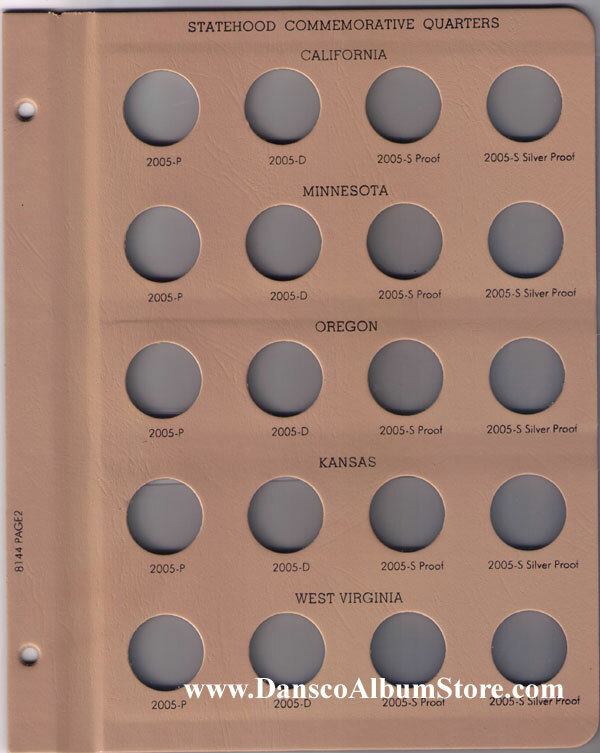 Note: Album does not hold the 2009 DC and Territories.